Camera is in good used condition for its age. Body is clean showing some scratch, scuff, and paint chip marks on various parts. Some paint chip marks on the lens cap and some light ding marks around the lenses as shown. Dials are clean also showing some scratch and usage marks. Leather is clean and intact with no rips or tears. Some wear on the corners as shown. Leather strap shows normal drying. Lens glass are clean with no external marks and some internal dust. No other issues such as fungus found. Aperture blades are oil free and move as they should. Focusing screen shows some scratch marks. 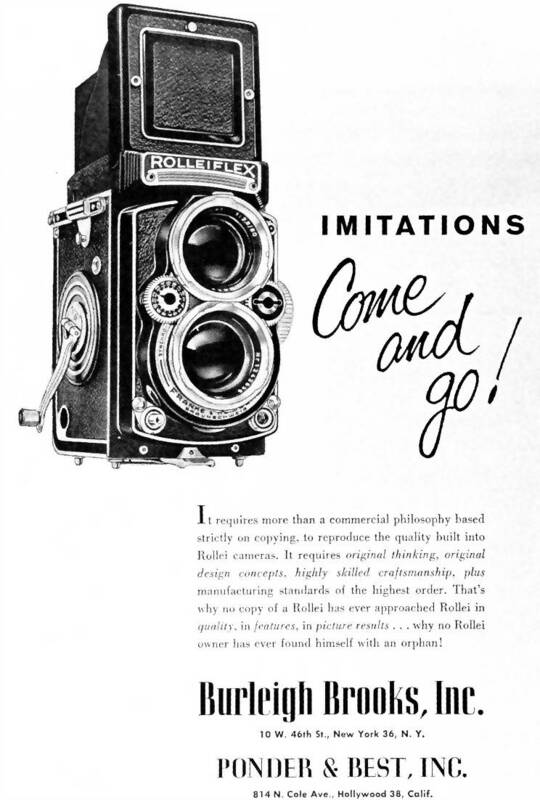 Shutter is working well and all functions of the camera are tested to be in good working condition. This model was produced between 1926-1941. Originally for 117 roll film and has been converted to 120 film. Finder has also been converted to a more modern day one that can accept a Rolleiflex prism. 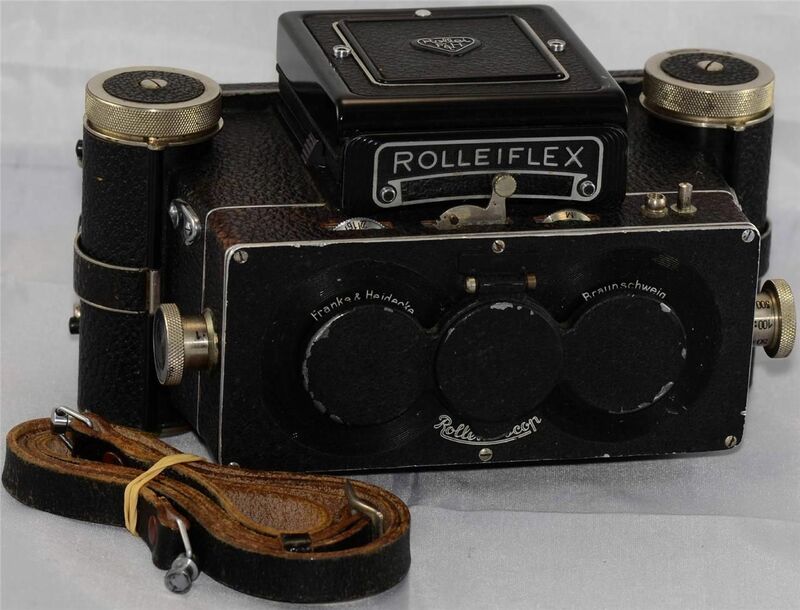 A very rare and hard to find older stereo model Rollei.